Whether you like it or not is irrelevant for this exercise: it’s instantly recognisable and very distinctive, looking like little else on the road. Illustrative of how time passes too, later this year the original versions, like the one in the photo, will be 15 years old. Time flies when you’re having fun and all that. I’m digressing and there is a point I want and need to return to – look at the photo again and in your head (or out loud if in the privacy of your own attic) say the name of the car. There is only one answer and if you came up with something other than Ford Ka than you need to bury your nose back in your copy of Heat/OK/Hello/Railway Modeller (delete as applicable) as soon as possible. Typed out, I’m confident that ‘Ka’ would have been your response, but how you said it is the crux of a pet hate that has now reached blood boiling proportions. And I’m finding typing this is quicker than getting through to NHS Direct. 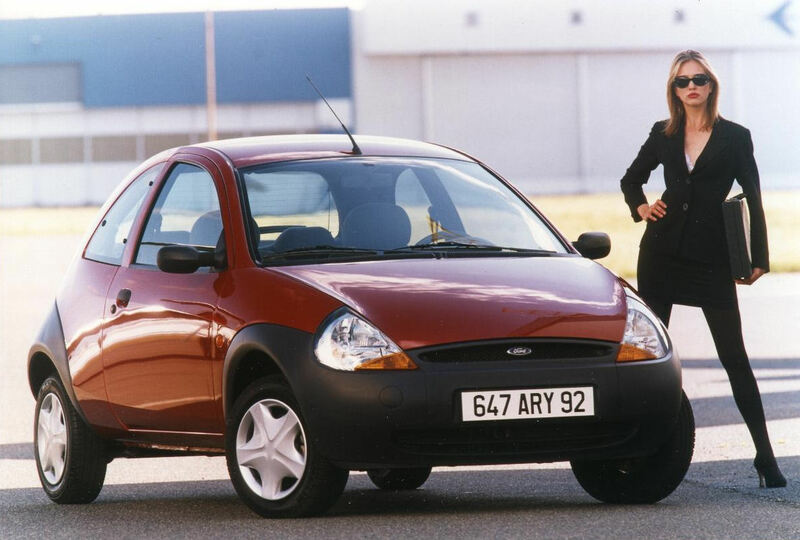 If you said it’s a Ford Ka, and pronounced it ‘Car’, then you may delight in the smug self-satisfaction of knowing you were right. However, if you are still of the opinion that the diminutive Ford is actually a ‘Kay Ay’ then go away and don’t darken these pages until you’re prepared to send a lengthy email apologising for raising my blood pressure and repenting your ways. For the life of me, I’ve no idea exactly where ‘Kay Ay’ comes from. Someone once said to me “you say ‘Kay Ay’ because that’s how you spell it.” If you buy the model up, you don’t boast about buying an ‘Eff Eye Ee Ess Tee Ay’ do you? I’ve even been into Ford dealerships where I’ve been smarmed at and ridiculed by sales executives for saying ‘Car’ with a smug response of “Oh, you mean the ‘Kay Ay’?” NO I DON’T MEAN THE ‘KAY AY’, I MEAN THE ‘CAR’, WERE YOU NOT ON THE TRAINING PROGRAMME?? Not that it featured much, if at all, in any of the early marketing bumph, but Ka (pronounced ‘Car’) is an ancient Egyptian Pharaoh, the name meaning ‘soul’ (just think, if Ford hadn’t have got there first we might have had a Kia Ka). Okay, gimmicky, as some car names are, but at least it tried to reflect the design philosophy Ford was championing at the time. The spirit, or soul, of New Edge styling was embodied in its smallest model. There’s the weight of logic behind it too – a play on words and phonetics. ‘Car’ makes sense, ‘Kay Ay’ just doesn’t. If you’re in the office and someone passes you something you’ve asked to borrow, you wouldn’t say “‘Tee Ay’ very much for the loan of your stapler” would you? Did your ‘Grand Pee Ay’ feed you Werther’s Originals as a child sat upon his knee? Of course not. Not only that, Ford even helped by launching two later models that reinforced that it simply must be pronounced ‘Car’: the more powerful 1.6-litre hatchback and the little two seater roadster were not ‘Sport Kay Ay’ and ‘Street Kay Ay’ respectively – that just doesn’t make any sense. But saying ‘Sport Car’ and ‘Street Car’ should be, for the non-believers, that moment of enlightenment. Putting fingers to keyboard has allowed me to vent off and calm down somewhat, and while the internal inferno is cooling, it’ll take a while for the hair I’ve pulled out to re-grow. Next time someone asks you what the smallest Ford is, you know what to say. A future rant may or may not feature Mazda’s Xedos range – that’s ‘Ker-say-dos’ not ‘Zed-os’ before you start. I totally agree with you Keith on this. I own a Ford Ka and whenever I ask for a part at a autoshop (e.g Halfords). Some have a blank expression and ask “Ford what?” and then I have to spell it. Really annoying. A sad but familiar tale. On a similar note, when I had one of my XMs I went into a Citroën dealer for a price for a part. Told the guy I had an XM only to be greeted with a response of “You what? Do you mean a Xantia?” (laughing to himself at my stupidity) “No, I mean an XM.” “Never heard of it mate.” With that he went off to ‘speak to my manager’ who presumably told him to stop being a clot as the manager returned but he didn’t. Needless to say I bought the part elsewhere.